1. 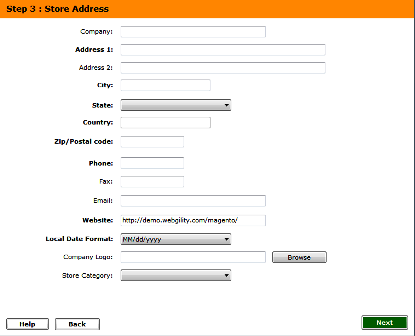 You need to have an account with Bigcommerce to configure the store in Shiplark. 2. 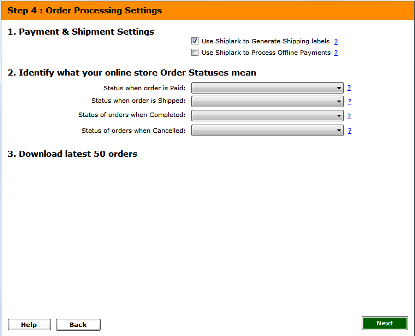 The item description will not be downloaded with the orders, from the online store. 3. Since there are no payment/ shipping methods downloaded from the online store, while doing manual shipment/payment, you will have to enter the methods manually. 4. The transaction ID cannot be retrieved due to API restrictions from Bigcommerce. As soon as you launch Shiplark, you would be asked to give your store a name and select the type of store that you have, in this case Bigcommerce. Once you have selected the name from the dropdown, click continue to proceed. In this screen you need to key in your API Path, username and API token. This information needs to be retrieved from your Bigcommerce account. Scroll below to learn how to get this information. Once you have everything keyed in, click connect to store. Shiplark would connect to your Bigcommerce store and upon successful connection, it would download data and settings. If you have already received the new Bigcommerce account with the App store view, eCC Desktop will need to connect using the Legacy API account. Click here to learn how to connect. 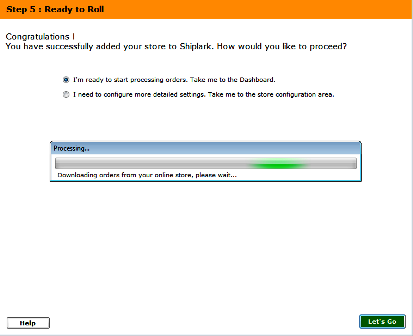 Shiplark Requires your Bigcommerce admin user name, token and API Path to configure the store. Please refer to the instructions below to retrieve the required credentials from Bigcommerce. 1. Once you log in to the Admin section of Bigcommerce, click on the ‘Users’ link at the top. 2. From the ‘View users’ page, you can see the admin user that you have created. Click to ‘edit’ the admin user. 3. Once you are at the ‘Edit User Account’ page, scroll down to the bottom of the page to retrieve the API path and API token. Note: If you ever need to regenerate the Bigcommerce API, it is done in this same way. 4. Use the credentials retrieved to connect to your Bigcommerce store in Shiplark, as shown above.